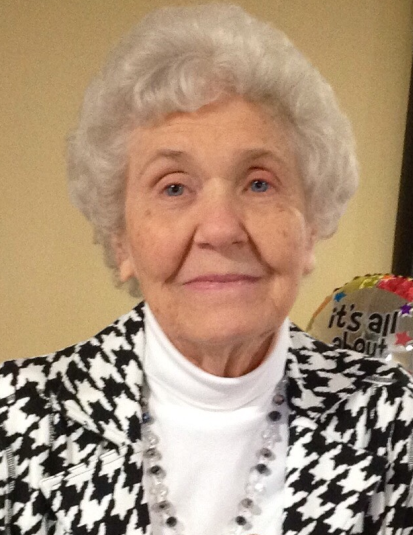 Mrs. Dollie “Ruby” Marie Wyatt Powers, 86, of Mt. Airy passed away Tuesday, April 16, 2019 at the Joan and Howard Woltz Hospice Home in Dobson. She was born in Wilkes County on September 23, 1932 to the late Philmore and Maggie Leona Dancy Wyatt. Mrs. Powers was a faithful member of Mount Airy Church of God. She was a loving wife, mother, grandmother, and great grandmother who will be dearly missed by all her family and many friends. She is survived by sons and daughters-in-law, Craig Eugene and Janet Powers, Rev. Charles and Cathy Powers; grandchildren and spouses, Amber and Rev. Michael Mooneyham, Lauren and Rev. Daylon Mooneyham, Rev. Bradley and Stephanie Powers, Jodi Powers, Lindsey and Michael Moore, Kara Powers, and Colt Britt; ten great grandchildren; a sister, Eula Mae Wyatt; several nieces and nephews. In addition to her parents, Mrs. Powers was preceded in death by her husband, Rev. Eugene Edward Powers; brothers, Bobby Wyatt, and Jerry Wyatt. A funeral service will be held Friday, April 19, 2019 at 2:00 PM at Mount Airy Church of God with the Rev. Bradley Powers, the Rev. Daylon Mooneyham, and the Rev. Michael Mooneyham officiating. Burial will follow in Oakdale Cemetery. The family will receive friends Friday from 12:30 until 2:00 PM at the church. In lieu of flowers memorial contributions may be made to Mount Airy Church of God at 1313 Carter St., P.O. Box 1445 Mount Airy, NC 27030, or to Mountain Valley Hospice and Palliative Care 401 Technology Lane, Suite 200, Mount Airy, NC 27030. Moody Funeral Home in Mount Airy is serving the Powers family. Online condolences may be made at www.moodyfuneralservices.com.